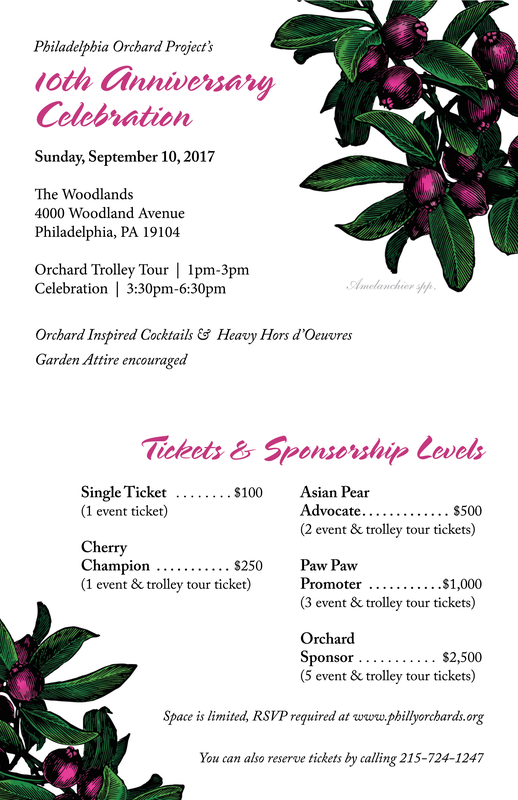 Help celebrate POP's 10 years of planting and supporting community orchards in Philadelphia! All proceeds from the event will go towards POP's work to create beautiful green spaces that expand community-based food production. We're thankful for the support of our community! If you'd like contribute toward this event, consider becoming a sponsor, please email tanya@phillyorchards.org.